Prudential Center, Newark, New Jersey - Opened in October 2007, “The Rock”, as its known locally, was constructed on a shallow foundation system following the completion of a comprehensive ground improvement program. 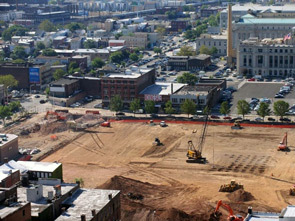 Thirteen acres of urban fill was improved by Densification, Inc. using dynamic compaction, which was an aggressive program, given the sensitive urban environmental where the arena was to be constructed. However, the dynamic compaction program was highly successful, even allowing the design team to increase the design allowable bearing pressure from 2 to 3 tons per square foot. 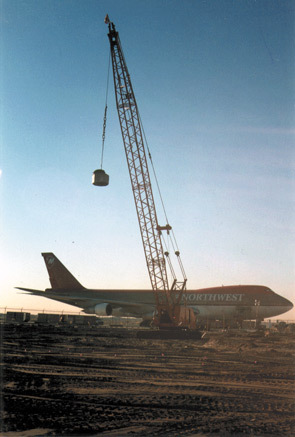 JFK Airport, Queens, New York - As a result of upgraded seismic design considerations in the New York City Building Code, a more advanced site-specific seismic study revealed that a ground improvement program could be implemented to mitigate liquefaction concerns for a proposed 80,000 square foot Northwest Airlines cargo hangar expansion at the airport. Densification, Inc. was retained to implement a dynamic compaction program to improve the upper 20 feet of loose sands at the site; this allowed for shallow foundation construction, saving millions of dollars in driven pile foundation costs. 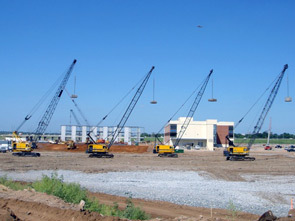 Dell Center, Oklahoma City, Oklahoma - Utilizing four cranes to meet a highly aggressive construction schedule, Densification, Inc. provided dynamic compaction services to improve over 2.2 million square feet of improvement of historic construction demolition material to facilitate the construction of a new Dell Call Center. Construction of the facility was a major victory for Oklahoma City, following a lengthy courting process with Dell, and Densification, Inc. was part of the team that made the project a reality. Today, the facility employs over 1,500 local residents. 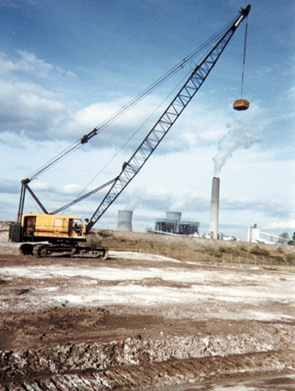 Northside Generating Station, Jacksonville, Florida - In an effort to increase the efficiency and reduce emissions at the existing JEA Northside Generating Station, a significant modification process was undertaken beginning in 1999. 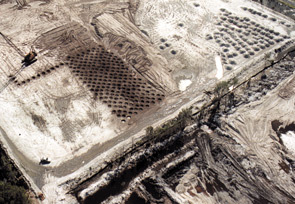 As part of the plant upgrades, two new coke storage domes were constructed; however, given the loose sands underlying the structures, a significant dynamic compaction program was conducted by Densification, Inc. to improve approximately 435,000 square feet of footprint to mitigate against damaging post-construction settlements. CityPlace, West Palm Beach, Florida - Opened in 2000, CityPlace began an urban renewal of a formerly crime-riddled area of Palm Beach, Florida, and is now the premier retail complex in the area. In order to improve the 25 feet of loose sands that covered the site and allow for shallow foundation construction, a dynamic compaction program over several hundred thousand square feet was implemented by Densification, Inc. 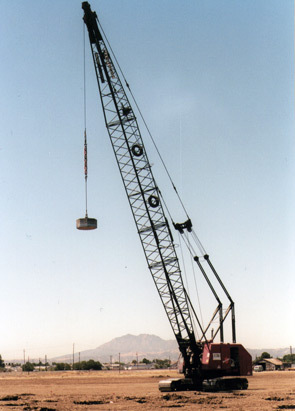 The program included two cranes and several different size weights in order to optimize the program and achieve aggressive design bearing pressures for the project, saving a significant amount of money. The adjacent Kravis Center for Performing Arts was improved using dynamic compaction several years prior to this undertaking. Cypress Lakes Development Levee Improvement, Bethel Island, California - Completed in 2001, Densification, Inc. was contracted to perform a dynamic compaction program to improve potentially liquefiable soils beneath a proposed 4.5 mile-long dry-land levee in Bethel Island, California. The levee was being constructed to provide flood protection to 1,300 new single family residences and an 18-hole golf course on the 685-acre Cypress Lakes site.